Have I mentioned how much I love margaritas cherries? I love cherry flavored desserts. And every baker needs a good, solid pound cake recipe. I’m fortunate to have a couple that I love! 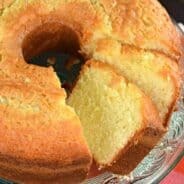 My son and his friend made this pound cake a couple weeks ago, using lime juice. But me? I thought why not add in tequila instead. Perfect. My hubs said he could taste the “zing” of the tequila, I sure didn’t think so. I think the “zing” he tasted was lime zest. BUT, if it’s called margarita cake, you have to have tequila. Don’t ya think? This cake was so good I had to wrap up the leftovers and put them in the freezer for later use. To eat a whole pound cake in two days just is not good (for my waistline). 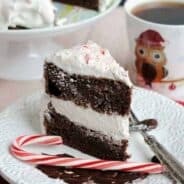 So if you make this cake, invite a friend (ME) over for coffee, and share! In a large mixing bowl, beat butter until creamy. Add in sugar, beating until fluffy. Add egg yolks, one at a time (save whites for later in this recipe). Beat well after each egg yolk addition. Beat in lime zest and tequila (you can substitute 1/2 cup fresh lime juice if you prefer). In small bowl, mix together flour, baking soda, baking powder and salt. Slowly add flour mixture, alternating with sour cream until fully mixed. In clean mixing bowl, beat egg whites at high speed until stiff peaks form. Fold gently into cake batter. Pour mixture into bundt pun (sprayed with nonstick baking spray with flour). Bake in a 325 degree oven for 85-90 minutes. Let cake cool about 10 minutes in pan. Remove from pan then cool completely on wire rack. 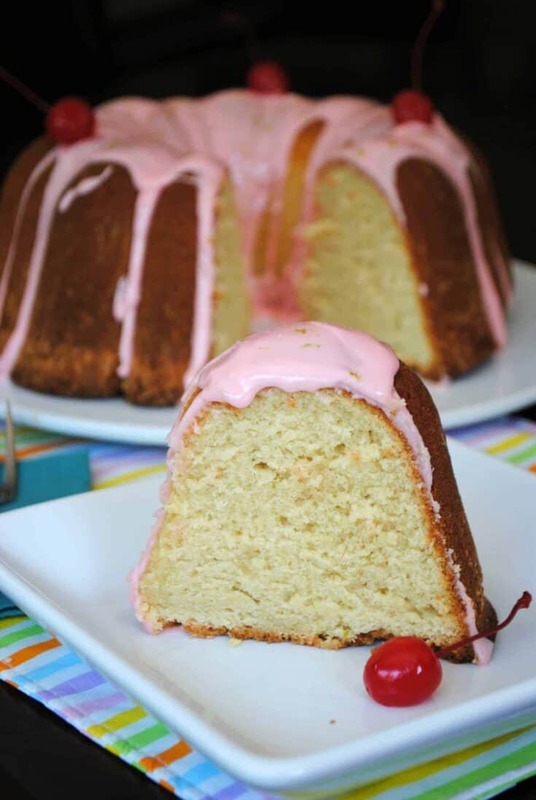 To make glaze, whisk together the sugar with lime and cherry juice. Drizzle over cooled cake. Enjoy! This might have to be a treat at my Bunco group! Sounds delicious! Thanks for stopping by! 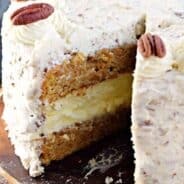 Let me know if you make the cake!! Enjoy! This looks amazing! I would love if you could join Thursday Food Fest at http://www.theeaseoffreeze.com. I hope I see you there. I open Wed eve! I need to work where you work! 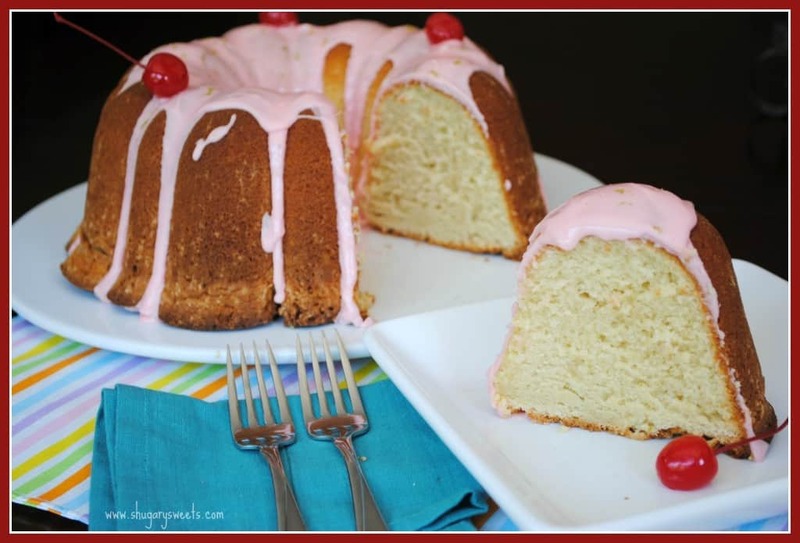 Had to pop over when I saw the words margarita & cake in the same sentence :~) This sounds really yummy…especially chilled on a hot summer night! Another super creative recipe from The Kitchen of Aimee! 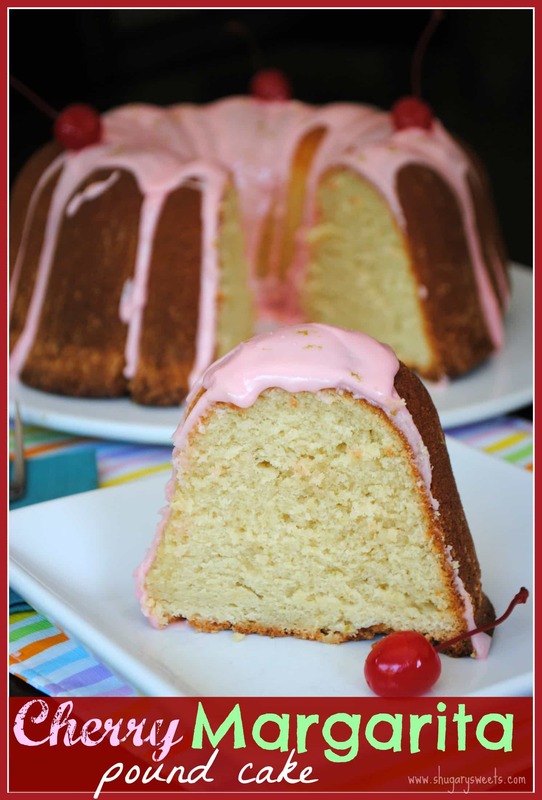 Margaritas AND pound cake TOGETHER? This shouldn’t even be legal. I can totally eat this for breakfast right?! With a magarita on the side? This cake has such a beautiful presentation I agree with adding the tequila. Seriously, margs and cake. You rock, Aimee! This looks intensely moist and totally rich and I am dying over the fact that tequila is in the cake! Maybe if I made this for my not-so-nice coworkers, they’d like me better 🙂 yummy! This is awesome! One of my fav drinks in a cake! And I love your header! It’s giving me the change itch! Awww thanks. The header has gotten easy now that I’ve changed it 5 times in a week….but I’m sticking with this one! 1/2 c tequilla…now THAT is the makings of a great cake! Looks awesome and love the idea! Glad to hear it, thanks for following along! The tequila works great! I LOVE margaritas! Give me cake and margaritas? I’m a happy gal. This looks fabulous and I love your pictures too! Thanks girl. Cake and margaritas make me happy too! You do CHERRY better than anyone I know!! I do have a thing for cherries right now! Wow it looks divine 🙂 I love cherry and will be adding this to my list of things to make! Looks yummy. What a fun blog check out my blog if you get a min and have not already :). love this combo! sounds delish! Getting all the ingredients together now…….can not wait, it’s been some time since I had a Margarita! Well had a few bumps along the way but nothing stops me! My oven is not level and my bundt pan must be a tad bit small and because of that I had to cut the top (bottom) off. Plus it stuck at one side pulling apart….just a little. My icing looks and taste good though. The bad part I have to save the cake til tomorrow for family….the good part I have lots to sample from what I cut off and it is soooo good! Plus I now have some left over Tequila and a few slices of lime. Have a great day!!! Would I be able to bake this in a loaf pan? I don’t want to mess anything up and didn’t know if you knew how to adjust temp/time for a loaf pan. Looks Delicious! This looks so delicious! And, the perfect cake to bake & to ship to my grown son for Valentine’s day. 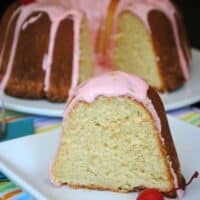 I’m wondering what your thoughts are on using morello cherries/juice instead of maraschino? I’ve never used them (are they fresh/frozen?). I don’t see why not though! What brand of tequila did you use in this recipe. You can’t go wrong with Tequila! Haha, my new motto! “you can’t go wrong with tequila”!! !